Apply for MMDG’s Free Arts Immersion Program for Teens! Arts Immersion is a wonderful free year-long program for high school students at the Mark Morris Dance Center. The program gives students a deep dive into all aspects of dance education, production, and arts administration and culminates in a student-driven performance during the summer. Applications are still being accepted for the fall! Join YO S.O.S. Be a Leader! YO S.O.S is now recruiting for the 2016-17 cohort of the YO S.O.S. Leadership Development Program. 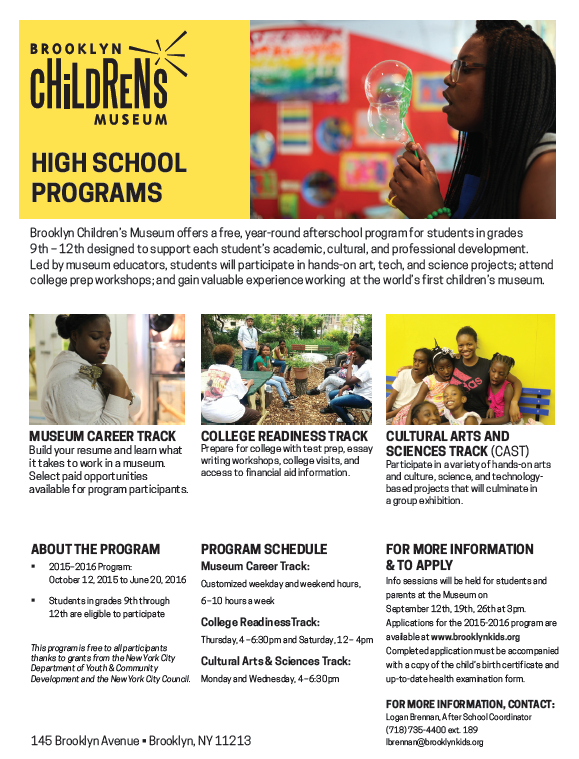 Young people who will be in high school this fall and live or go to school in Brooklyn are encouraged to apply. Youth participate in an 8-month program to become peer educators and community organizers spreading an anti-violence message and promoting community healing. Youth also earn stipends and community service credit for their participation. To apply, visit crownheights.org/yosos/apply. As month is nearing to an end, Thanksgiving is coming closer. Share your thanks at the community events. Between the holiday food drives and the celebrations with food, there are many ways to get involved in giving back to the community. Please mark your calendars with the plethora of feasts on Thanksgiving Day, where you can meet your local leaders. We are accepting applications for our Fall 2015 Summer Filmmaking Lab program. 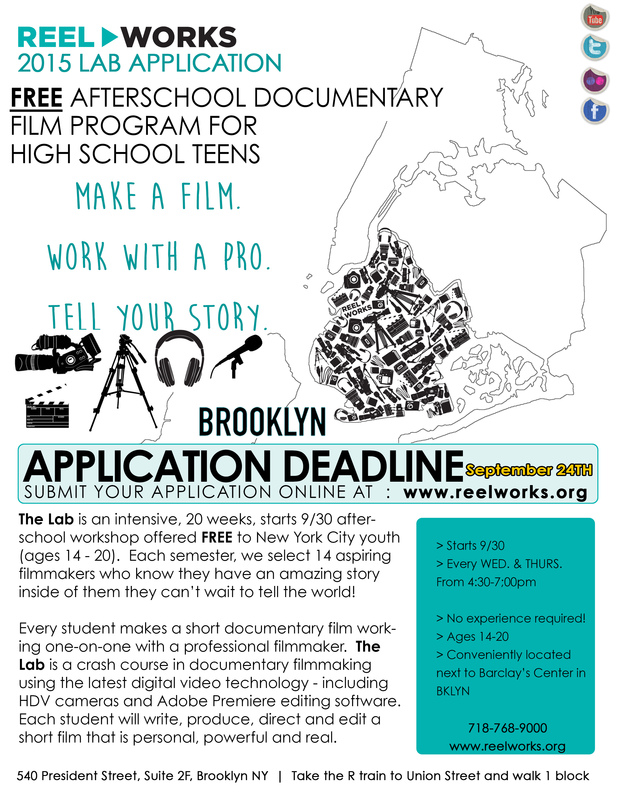 The Fall Lab is a free after-school film making workshop that matches NYC teens ages 14-20 with one-on-one professional filmmaker-mentors to create original short documentaries about their lives and communities. Please share the enclosed flyer with any interested students and direct them to our website to apply. You are also welcome to request a Reel Works staff member to come to your school to lead an info session and help students fill out the application form. If interested, please respond to this email with a few dates and times that work for you during the weeks of Sep.14 and Sep. 21. * Looking for FREE After School ??? 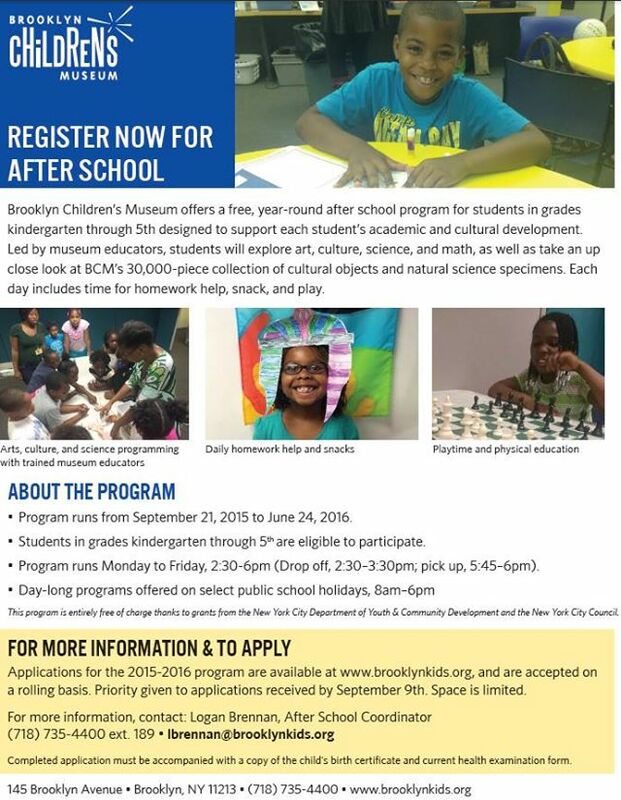 * Do you have a child that in Kindergarten through 5th or in high school ??? Completed application must be accompanied with a copy of the child’s birth certificate and current health examination form.